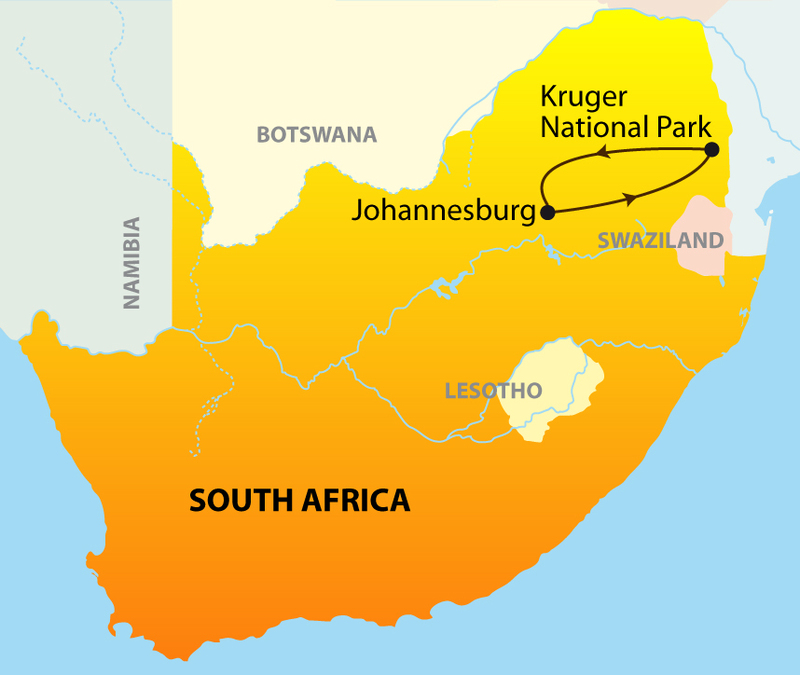 Established in 1898, the Kruger National Park is one of the Africa’s oldest and greatest wildlife reserves. Twice the size of Yellowstone in the US, the Park is a paradise for the wildlife enthusiasts, nature photographers and birdwatchers. Spend a full day on game drives in the Park with our guide who will be on the lookout for sightings of the “Big Five”. Enjoy a packed lunch inside the park, returning to the lodge in the early evening. 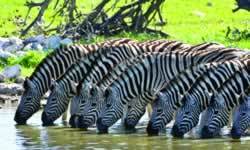 Depart Kruger National Park and travel via the “Panorama Route”, known for its cultural heritage and its dramatic landscapes. Travel through Gods playground enjoying the views of God’s Window, Blyde River Canyon and the Three Rondavels arriving in Johannesburg in the evening.